Blaze new trails with Precision Run from Equinox. This precision running workout is redefining our indoor treadmill training through a patterned flow. The Precision Run class experience can be fully customized to the speed that's right for you, so it's perfect for all skill levels. Headphones required. For those who think only the miles you run outside count, think again. 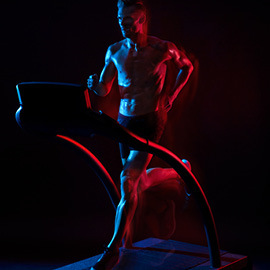 Equinox is redefining running training and casting a whole new light on the treadmill. Industry-defining classes like Precision Running merge technique with intensity in a collection of classes designed to take you to the next level as a runner.